It is funny how the first draft in a story can so often end up diverging and transforming into something entirely different from the author’s original idea in the subsequent edits. As I entered the Master of Arts in Educational Technology (MAET) program at Michigan State University, I began with all intentions of becoming a technology guru and sharpening my technology skills. However, I leave the program with a passion for strong instructional design rather than the technical skills that I initially believed I needed. 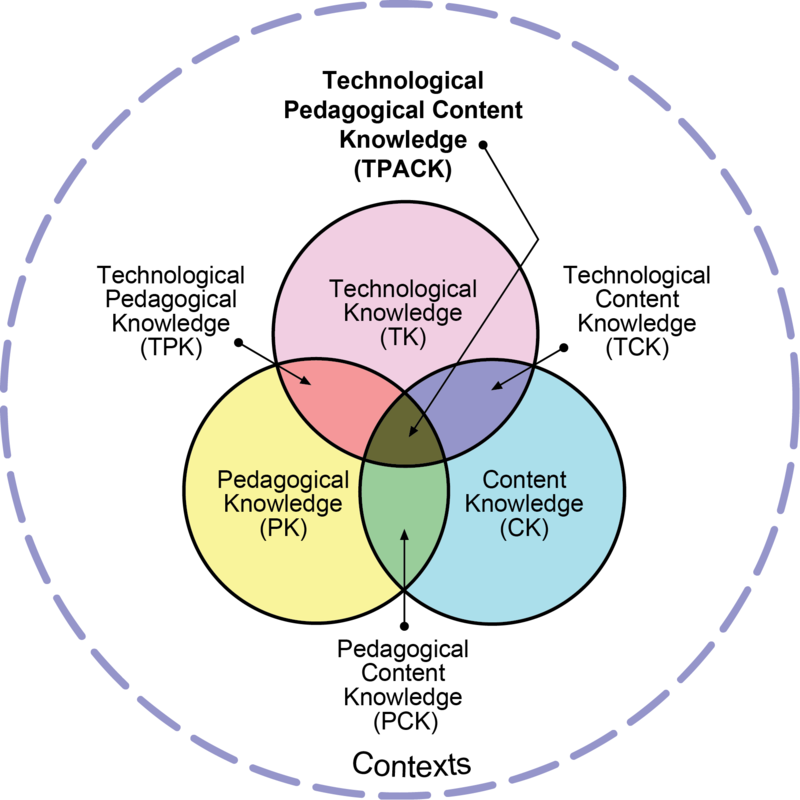 I credit this shift to some of the key understandings present throughout the MAET program including the intersection of technology, pedagogy, and content or (TPACK) framework within a context and how that impacts learning and instructional design. I have also learned how being a connected educator allows me to have access to the collective intelligence of my personal learning network rather than be confined to the limitations of my own individual knowledge. Finally, I gained a more comprehensive understanding of learning theory and research and how that informs effective pedagogy which makes for the foundation of meaningful technology integration. This work by Lauren Villaluz is licensed under a Creative Commons Attribution-NonCommercial 4.0 International License. Entering the MAET program, I had started to dabble in social media for educators with tools like Twitter but was still unsure of its role in improving my practice. 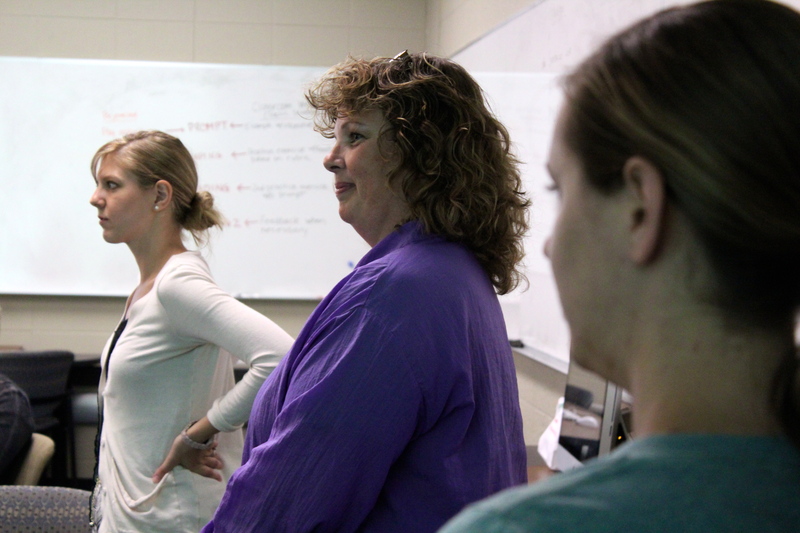 In my CEP 810: Teaching for Understanding with Technology, we laid the foundation for becoming connected educators by starting a blog and utilizing several social media platforms for class related communication. I created a visual representation of my personal learning network to illustrate the collective intelligence that I could reach out to for information. In an information overloaded world, I can use a personal learning network to navigate and find the resources and information that will improve my practice. I was also guilty of being strictly a consumer of information and for the first time in CEP 810 I became a creator as well. I have continued to grow an active blog and digital portfolio where I share and reflect on my work as well as an active Twitter account that does the same. Though that process, I have opened up my work for feedback and created all sorts of opportunities to work with other professionals and create amazing experiences for students, teachers and administrators. In the CEP 807: Capstone Portfolio course, I worked on creating a professional digital portfolio which even required picking up a bit of CSS and HTML coding. I also experienced the power of networked learning through our Networked Learning Project in CEP 810 where I had to use only YouTube video tutorials and online help forums to learn a skill that I have always wanted to learn. These are now avenues that I use to learn new skills and get information on a regular basis. They are also tools that I encourage students and teachers to utilize for finding expert information on a topic. As a teacher, I did not initially think about my process of creating learning experiences for my students as one of a “designer”. However after going through the MAET program, there seems to be no better comprehensive term for me to describe my role as an educator and technology integration specialist than that of an “instructional designer”. In purposefully choosing how I integrate technology, pedagogy, and content within my context, I am artfully designing experiences that will be memorable for my students and create an environment that will allow for learning and mastery. In my first year as part of the East Lansing Summer Cohort, I learned about the impact that technology has had on the necessary and critical skills for students to be successful citizens. Recognizing that technology affords everyone the same access to information and in doing so lessens the importance of statically “memorizing” and “knowing” information has been key to helping teachers begin to change their mindsets from the traditional “sage on the stage” lecturer towards more of a facilitator and “guide on the side”. I have been working with teachers and students to foster learning experiences that develop creativity, collaboration, communication, and especially critical thinking and now have a renewed focus on those qualities in my own professional development. In CEP 811: Adapting Innovative Technologies, we delved deeper into our understanding of the TPACK framework and how the instructional choices that we make should direct the technology tools that we use. In this course, I was introduced to the Maker Movement and its possible implications in educational settings. Beyond the TPACK framework, the Maker Movement and the idea of active and playful learning is one of the ideas that I reference the most from the MAET program. I began as a frustrated learner, wondering how these “toys” like Squishy Circuits and Makey Makeys were applicable to my everyday practice as an educator. I am now a huge advocate for making and Maker Education in the classroom. From beginning a school Maker Space to starting a summer Maker Camp, I love what I have discovered about what happens when student passion and interest intersect with the opportunity for self-directed learning by doing. My support of the Maker Movement and active learning pedagogies has developed through the study of how people learn which took place in the CEP 800: Learning in School and Other Settings course. In this course, we read, discussed, and reflected on key cognitive and learning research that as educators we need in order to support and root our practices in sound pedagogy. We also constructed our own research while learning a lot about misconceptions and true learning through our Understanding Understanding project in CEP 822: Approaches to Educational Research. One of the biggest changes that has occurred throughout my time in the MAET program has been the transition from my role as a teacher to a leadership role as a technology integration specialist. In CEP 812: Applying Educational Technology to Issues of Practice, I reflected on Thomas Friedman’s article “It’s P.Q. & C.Q. as Much as I.Q.” about how I bring passion and curiosity into my work as an educator and how technology compliments that dynamic. Passion and curiosity continue to play a huge role in forwarding my personal and professional growth. As my understanding of how effective technology integration should look grew, so did my frustration with the lack of meaningful professional development and the gap between technology and learning that seemed to make it impossible for even a highly motivated teacher to easily make use of innovative technology tools in the classroom. With the skills that I had gained throughout the MAET program, I found it difficult to ignore the obvious need for someone to intercede into a role that helps to find and sustain a balance between technology, teaching and learning in our schools. Without the MAET program, I would not have gained valuable connections and key understandings that have helped me to be successful in my new role and have a greater impact on a larger audience of students, teachers, administrators and communities. In CEP 815: Technology and Leadership, I gained valuable insight into motivational strategies and professional development design. 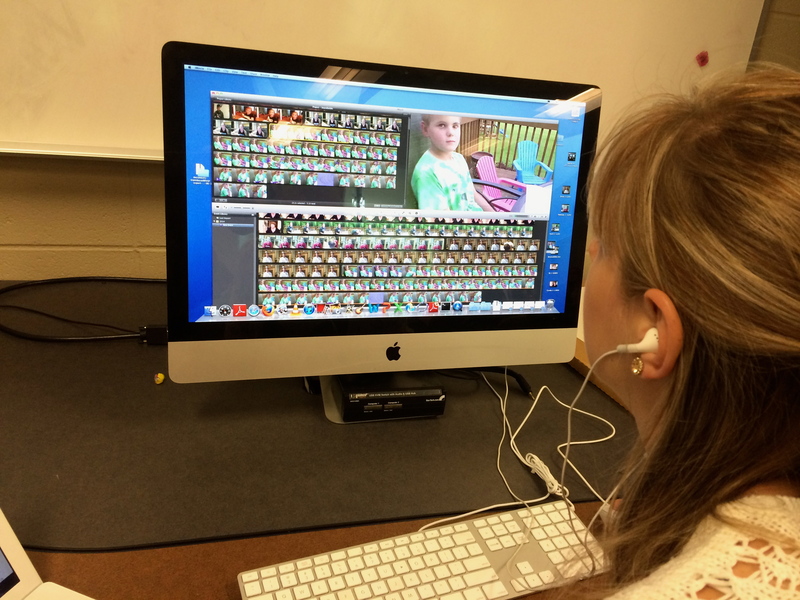 My DreamIT project from CEP 800: Learning School and Other Settings was a huge inspiration for my transition into the role of a Technology Integration Specialist. It was the first time that I thought deeply about how I would design technology integration, technology professional development and technology purchasing within a school and had to supply justifications for those design decisions. Throughout the MAET program, I continued to reflect on my role as a learner and how what I was learning could impact how I teach. Approaching life and learning experiences with a growth mindset rather than a fixed mindset is something that has been intrinsic for me since I was young but the years of competitive grading had me struggling to remember how to learn for the sake of learning rather than the numeric value attached to the work. I have used reflection and feedback from others as a way to gauge my continuous improvement. I recognize that a piece of work is never really done with a growth mindset, but that I can strive to make it the best version that I can produce at that time. So as my story continues even after my MAET coursework ends, I revisit and remember the experiences that I have drafted to continuously improve and learn. I embrace my role as instructional designer and continue to be inspired by others to bring innovative change to improve education. Although I try to keep up on my technology skills, I know that the the balance of pedagogy, content and technology are even more essential to creating effective learning experiences. I value the vast wisdom of my personal learning network to help create opportunities for myself, my students and my colleagues that might not otherwise be possible. I will continue to edit, through innovation and reflection, the rough draft of my story.